^ Lincoln biography Archived 2006年10月13日, at the Wayback Machine. ^ Jenkins essay Archived 2009年5月26日, at the Wayback Machine. Browning, Robert M., Jr., From Cape Charles to Cape Fear. The North Atlantic Blockading Squadron during the Civil War. University of Alabama Press, 1993. 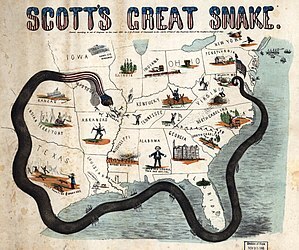 Buker, George E., Blockaders, Refugees, and Contrabands: Civil War on Florida's Gulf Coast, 1861-1865. University of Alabama Press, 1993. Greene, Jack, Ironclads at War, Combined Publishing, 1998. Time-Life Books, The Blockade: Runners and Raiders. The Civil War series. Time-Life Books, 1983. ISBN 0-8094-4708-8. Wise, Stephen R., Lifeline of the Confederacy: Blockade Running during the Civil War. University of South Carolina Press, 1988.